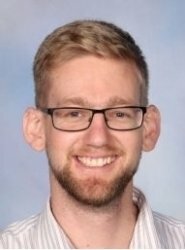 I am a 30 year old teacher who specialises in Secondary School Economics up to scholarship level and up to NCEA level 1 Accounting. I worked in corporate business for several years before retraining as a teacher. I have been teaching for 3 years in New Zealand and for a short time abroad. I have tutored students in the past with success. I have also marked NCEA level 1 and level 2 external examinations and therefore have a very good understanding of the requirements of each assessment. I have also taught scholarship Economics. I do my best to put content in an easy to understand way that takes on board the strengths of the tutee. Concepts and content that will be covered will align with the level of the tutee in order to meet their needs. I try to use real world examples that relate and make it interesting and fun for the student.